FYI: It's only open until September 3! Remember when someone broke a popular pumpkin sculpture while taking a selfie? 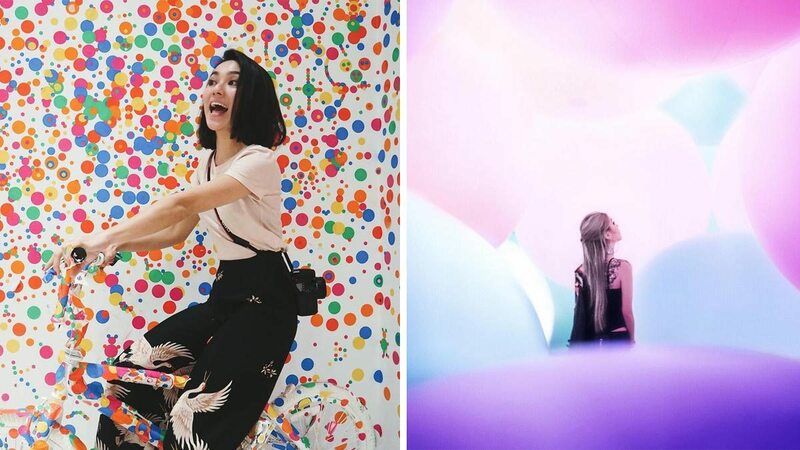 It was a part of Yayoi Kusama’s “Infinity Mirrored Room—All the Eternal Love I Have for the Pumpkins” installation in D.C.
Well, get your cameras ready because the exhibit is now in Singapore! Titled “Yayoi Kusama: Life Is the Heart of a Rainbow,” this is her first major museum exhibition in Southeast Asia. It features all of Kusama’s signature pieces, including her famous pumpkin sculptures and infinity mirror rooms. Since this exhibit is a retrospective, you’re able to witness over 120 paintings, videos, and installations from the 1950s to the present. But don’t dawdle because it’s only open until September 3. “Yayoi Kusama: Life Is the Heart of a Rainbow” is at National Gallery Singapore. For non-Singaporeans, tickets cost $25.